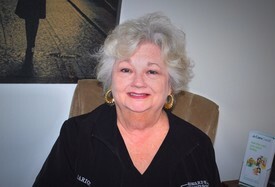 Marion brings 35 years of experience in dentistry to our office. She has been involved in all areas of dentistry to include: general dentistry, orthodontics, oral surgery, cosmetics and sleep dentistry. She has always enjoyed dentistry, loves her job and loves helping patients achieve ideal dental health. Marion moved to Salado several years ago to be near her family. When she is not in our office she is busy with her 4 grandchildren, driving them between home and their many school activities. She considers it quite an adventure. If you ever need anything, Marion is there to assist you. Emily brought her welcoming smile to the Dr. Lufburrow's office in June of 2015. She enjoys what she does, is a hard worker, and takes on new responsibilities whenever she is asked. 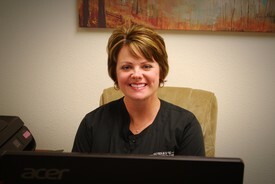 Her primary goal is to help meet each patients needs and to make them feel comfortable. She and her husband Jeff, enjoy sports, home projects and most of all their blended family of three boys and a little girl. 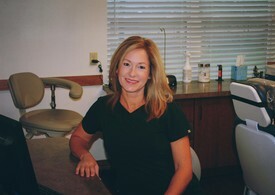 Lindy has been in the dental field for over 30 years. She began as a dental assistant and then returned to school to train as a Dental Hygienist. 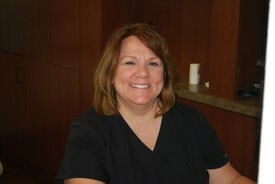 She got her hygiene education at the University of Texas Dental Branch in Houston and now has practiced for 26 years. 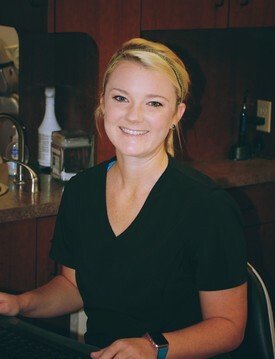 She loves getting to know her patients on personal level and works hard to solve all their dental concerns. She has been married to her loving husband for 30 plus years and has two wonderful children currently in college. Cyndi joined our dental practice as a Registered Dental Hygienist in August of 2017. She is dedicated to providing exceptional dental hygiene care to our patients while being gentle, thorough, and understanding of patient needs on an individual basis. She enjoys educating patients on proper oral hygiene care, products, and prevention of oral diseases. Cyndi graduated with an Associate's of Applied Science degree in Dental Hygiene with honors from Temple College in May of 2012. She believes that we have a new opportunity each day to be better than we were yesterday. In dentistry that means keeping up with the latest technology, techniques and advancements by attending continuing education courses each year. In her free time Cyndi enjoys quality time with her two beautiful children, riding her horses, and spending time with family and friends. She is looking forward to building relationships with each and every one of our patients! Anna is originally from Louisiana, currently resides in Salado. Anna and her family moved to Salado in the Fall of 2015, when her husband was stationed at Fort Hood. 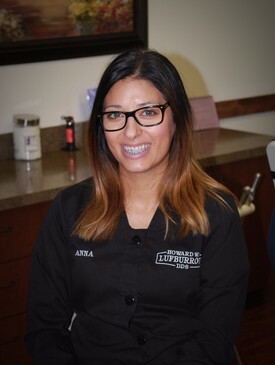 Anna has been with the practice since February of 2016. She enjoys helping others, and believes that a good smile can help you conquer the day. Anna loves spending time with her two children, husband, and of course her dogs. Anna likes to workout, swim, and cook with her family.